Samsung has recently launched new 2018 variants of the Galaxy A8 called Galaxy A8 2018 and Galaxy A8+ 2018 that comes with dual front facing cameras and are the first Samsung phones to have the dual front cameras. 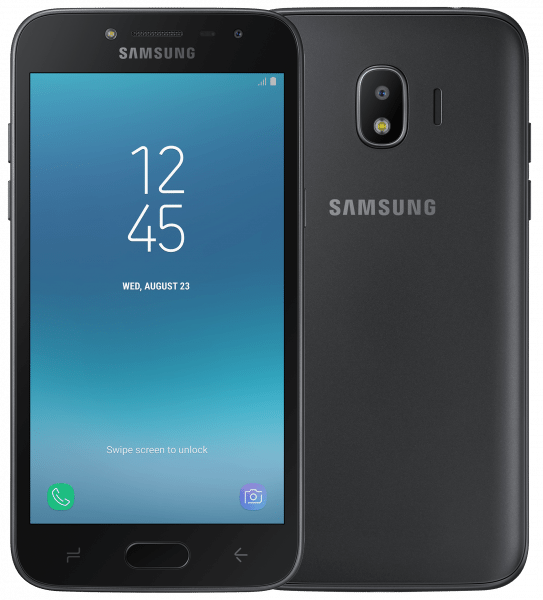 Now, the company is all set to launch a new Galaxy J series device called Samsung Galaxy J2 (2018) that has just leaked out along with the images and specifications of the device. The Galaxy J2 (2017) was launched with a 4.7-inch display and with 1GB of RAM but the new variant is going to have an upgraded display and RAM if we believe the recent leak. The device is listed by a Russian retailer along with full specifications and the images of the device as well. The Galaxy J2 (2018) is listed with model number SM-J250F and comes with a 5-inch qHD Super AMOLED display with 960 × 540 pixels resolution and is powered by a 1.4GHz Quad-Core Snapdragon 425 Mobile Platform with Adreno 308 GPU. It will have 1.5GB of RAM and 16GB of internal storage capacity and is further expandable via micro SD card up to 128GB additional storage. It runs on the Android 7.1 (Nougat) OS out of the box and supports Dual SIMs. It features an 8-megapixel rear camera with LED flash and a 5-megapixel front camera with LED flash. It is backed up by a 2600mAh battery and connectivity options available are 4G VoLTE, Wi-Fi 802.11 b/g/n, Bluetooth 4.1, GPS and others. It measures 144 x 72 x 8 mm and weights 153 grams. To recall, the Galaxy J2 2017 was launched with a 4.7-inch qHD Super AMOLED display with 960 x 540 pixels resolution and is powered by a 1.3 GHz quad-core Exynos 3475 processor with 1GB RAM and 8GB internal storage capacity that is expandable up to 128GB with microSD slot. It runs on the Android 5 Lollipop and supports Hybrid Dual SIM option. It features a 5-megapixel auto focus rear camera with LED Flash, f/2.2 aperture, 720p HD video recording along with a 2-megapixel front-facing camera with f/2.4 aperture. It is backed up by a 2000mAh battery and supports 4G VoLTE, Wi-Fi 802.11 b/g/n, Bluetooth 4.1, GPS and 3.5mm audio jack with FM Radio support as well. It measures 136.5 x 69.0 x 8.4mm and weights 130 grams.